Bake for 15 minutes then remove from oven. Add all ingredients except minced garlic and 1/4 cup water to small sauce pan. Simmer on low-medium for 10 minutes. Put into blender and blend until smooth. Add back to sauce pan. 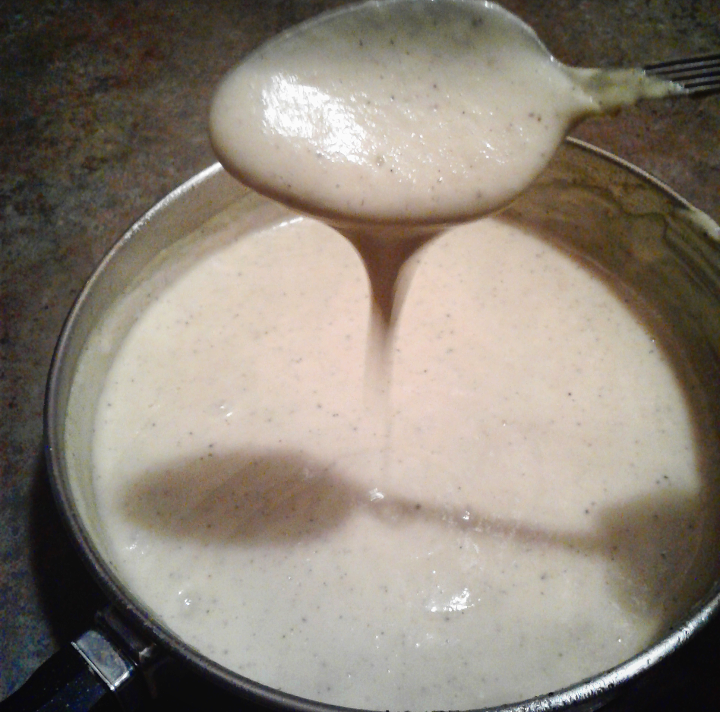 Shake 1/4 cup water in blender cup (to get any extra sauce left over) then add to pan. Add minced garlic and heat on low for 5 mins. You can add more water a tsp at a time if you want a thinner sauce. Prepare vegetables of choice to your liking. 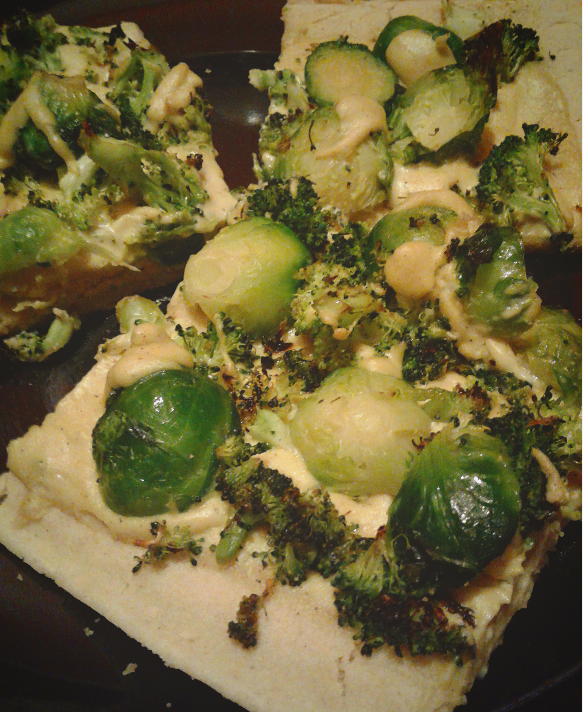 I chopped and sauteed brocolli, and steamed then sauteed the Brussels sprouts before cutting them. Spread sauce on crust then place toppings. Bake another 10 minutes at 350. Posted on December 20, 2016 by intentionalexistenceblog	This entry was posted in Recipes and tagged Gluten free, pizza, Plant based, Vegan, vegan pizza, veggie pizza. gluten free pizza, whole food. Bookmark the permalink.